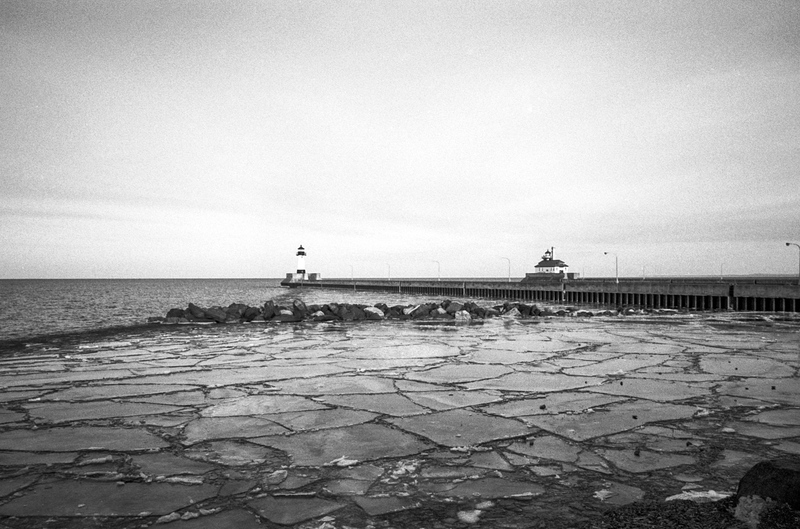 This is the photo of the Duluth Harbor Lighthouses in Minnesota. It was shot on expired Kodak TMax 100 (1995) with Leica M6 and Elmarit 28mm lens. Processed by a local lab/National Camera Exchange in Minneapolis. I scanned the film with my 11 or 12 years old Epson Perfection 4870.